Faber, Spa is located in Fabriano, Italy and has been producing high quality range hood, since 1955. It is invented in a small laboratory in Italy and now over 50 years later we are a world leader in ventilation. In Italy, Faber is the market leader; with 50% market share in a country that values premium kitchen ventilation. Faber products show a company wide commitment to technology, quality and design. It is Switzerland brand, is an industrial manufacturer with companies located around the world. The industrial activities of Franke Artemis Group include Franke Kitchen Systems Group and Franke Commercial Systems Group. Franke Kitchen Systems Group is the world-leading provider of kitchen systems (sinks, taps, water management systems, ventilation hoods, cooking appliances). Franke Commercial Systems Group includes Franke Foodservice Systems (systems and services for quick service restaurants), Franke Washroom Systems (washroom and sanitary systems in the public and semi-public sectors), Franke Coffee Systems with a wide range of superautomatic, professional and semi-professional coffee machines, Franke Beverage Systems (beverage containers) and industrial engineering. Furthermore, Franke Artemis Group owns and manages an extensive real estate portfolio (Franke Artemis Real Estate Group) in Switzerland and abroad and holds various strategic participations in international companies listed on the Swiss stock exchange (Franke Artemis Asset Management Group). Franke Artemis Group also has a majority stake in Feintool Group, the world leader in fine blanking technology. are easy to clean and maintain. 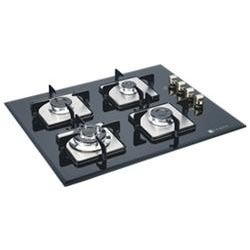 These Kitchen Hobs provided by us in the market are known for the ease and efficiency they provides to the user. Further, these products are appreciated for their easy to control and eco friendly nature. 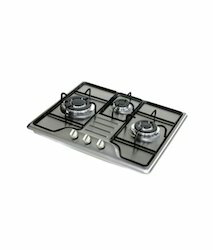 The offered products with their beautiful design, enhances the luxury of the kitchen. Offered by us in the market at a very reasonable price, these products have a high preference.